Scientists seeking to bring fusion — the power that drives the sun and stars — down to Earth must first make the state of matter called plasma superhot enough to sustain fusion reactions. That calls for heating the plasma to many times the temperature of the core of the sun. In ITER, the international fusion facility being built in France to demonstrate the feasibility of fusion power, the device will heat both the free electrons and the atomic nuclei — or ions — that make up the plasma. The question is, what will this heating mix do to the temperature and density of the plasma that are crucial to fusion production? New research indicates that understanding the combined heating shows how we could improve the production of fusion in ITER and other next-generation fusion facilities — a key finding of physicists at the U.S. Department of Energy's (DOE) Princeton Plasma Physics Laboratory (PPPL), the DIII-D National Fusion Facility that General Atomics operates for the DOE, and other collaborators. "This shows what happens when electron heating is added to ion heating," said PPPL physicist Brian Grierson, who led testing of a computer model that projected the DIII-D results to ITER. The model looked specifically at the impact of electron heating on the overall heating mix. Researchers produce such heating by aiming microwaves at the electrons gyrating around magnetic field lines — a process that increases the thermal energy of the electrons, transfers it to the ions through collisions, and supplements the heating of the ions by neutral beam injection. Support for this work comes from the DOE Office of Science. Coauthors of the Physics of Plasmas paper included Wayne Solomon and Robert Pinsker of General Atomics; George McKee of the University of Wisconsin-Madison; Chris Holland of the University of California, San Diego; Lothar Schmitz of the University of California, Los Angeles; Max Austin of the University of Texas at Austin; Alessandro Marinoni of the Massachusetts Institute of Technology; and the DIII-D team. DIII-D is a DOE Office of Science user facility. 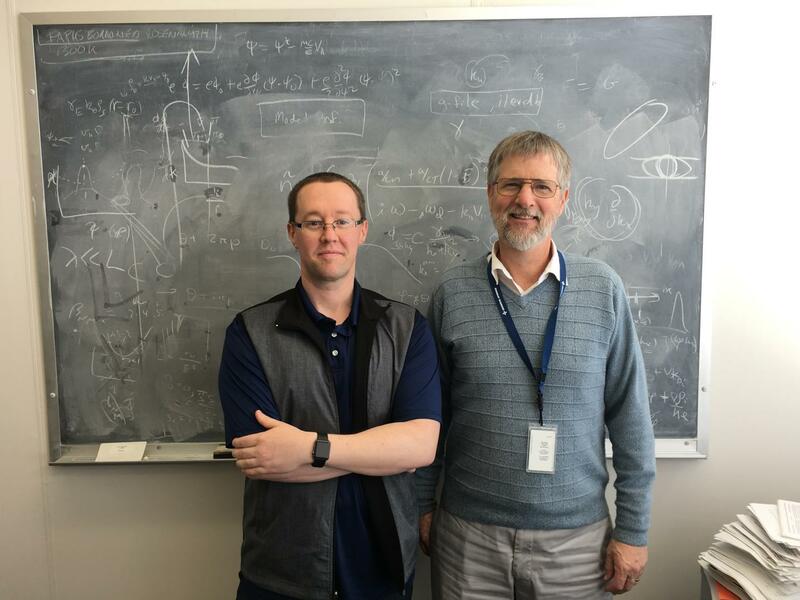 PPPL, on Princeton University's Forrestal Campus in Plainsboro, N.J., is devoted to creating new knowledge about the physics of plasmas — ultra-hot, charged gases — and to developing practical solutions for the creation of fusion energy. The Laboratory is managed by the University for the U.S. Department of Energy's Office of Science, which is the largest single supporter of basic research in the physical sciences in the United States, and is working to address some of the most pressing challenges of our time. For more information, please visit "https://science.energy.gov/.